This bike is being built for a woman only. Hopfully it will catch the short womans eye. It has a 750 cc engine. 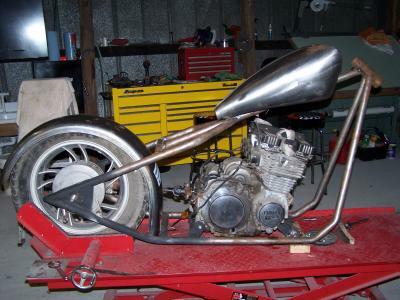 A custom rigid frame and hand built springer front end.